Recently, just about everyone I know has been sending us the Forbes article entitled Berlin Is Out, Tbilisi Is In: Georgia’s Capital Is This Year’s Most Exciting City. Now, I’ve never been to Berlin, and I’ve only been here about eight weeks, but I think the writers at Forbes are on to something. 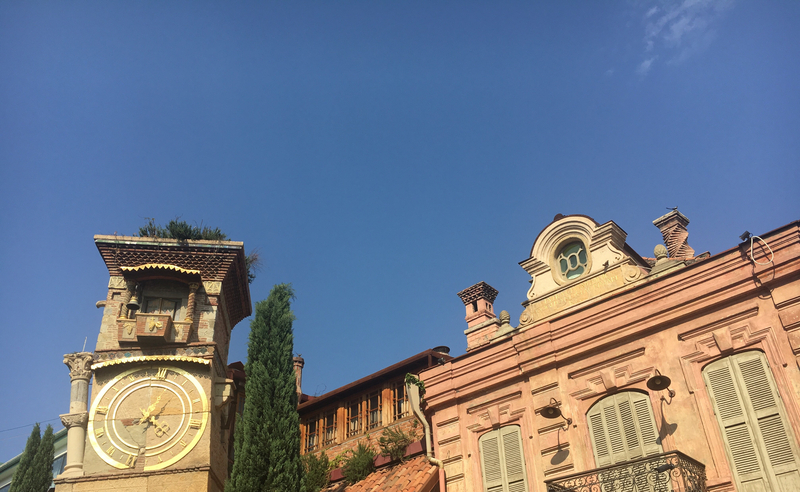 On the surface, it’s easy to classify Tbilisi as a typical Eastern European city, or as a typical former Soviet city, but the more time we spend getting to know our new home, the more it feels like something else all together. There is a distinct mix of new and old that one would think might be a strange juxtaposition, but here, it just works. There’s a cable car in the center of downtown up to the ancient Narikala fortress and botanical gardens. Oh, and those botanical gardens are built on the other side of the hill so if you don’t feel like walking down to the seating areas you can take the zip line. Normal things. Funky cafes and shops line old cobblestone streets. There’s graffiti everywhere. Tbilisi has a flair that’s hard to put into words. 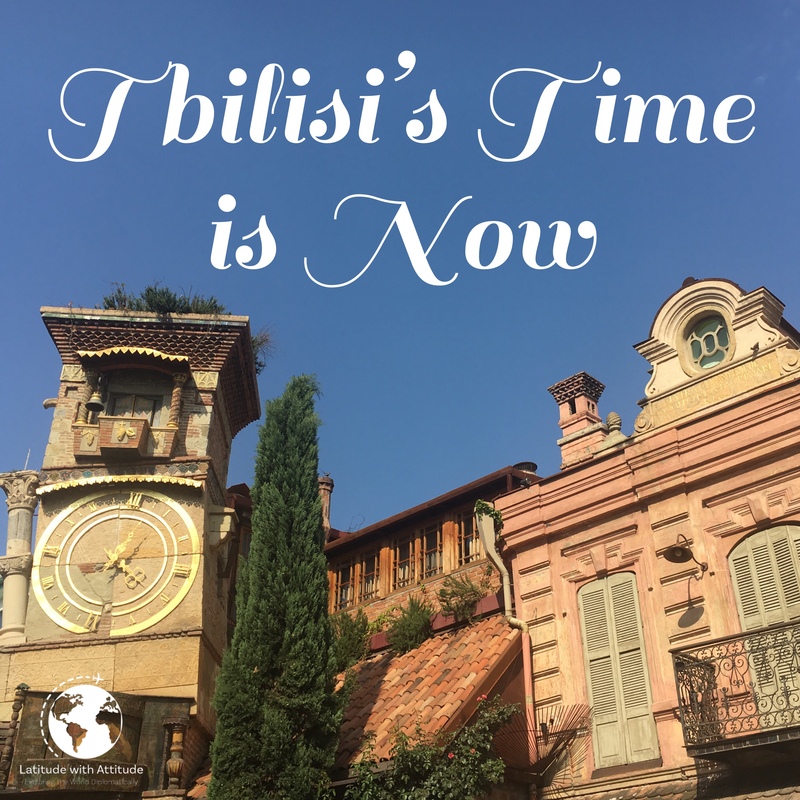 Tbilisi also seems to be the perfect place for young people looking for a slightly unique vacation destination. Georgians’ utilization of social media – particularly Facebook and Instagram – speaks to us on a level we understand and have been accustomed to finding our information. I’ve had a few cafes find me on Instagram and sure enough we end up visiting within a week or so and loving them. There are tons of traditional touring companies, but I’ve heard of people using Reddit to book tours and find drivers. It’s like a millennial playground. I think part of my ability to appreciate Tbilisi is that it’s coming to us after Dushanbe. We really, REALLY struggled at times with life over there, not just out in town but in our work lives as well. People told us that living in such an environment would result in one of three outcomes: 1) Divorce; 2) Pregnancy (so I’d be med-evaced for an extended period, and because there’s nothing better to do apparently); or 3) We’d make it out and be able to look back and laugh. I’m grateful for the experiences because it taught us a lot about ourselves as individuals, about our marriage as a whole, and about how to look on the bright side of things. Now some may say Tbilisi isn’t your Paris, or Rome, or London, but honestly I wouldn’t even put them in the same category. I think it belongs with the Pragues and Krakows of the world – an Eastern European city with that distinctly Eastern European feel, but a vibe all it’s own.